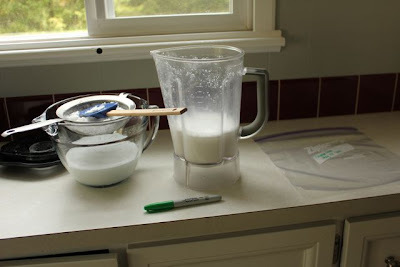 Schoolhouse Ronk: Make your own Coconut Milk! I think that coconut milk is the best tasting dairy free milk to add to smoothies. 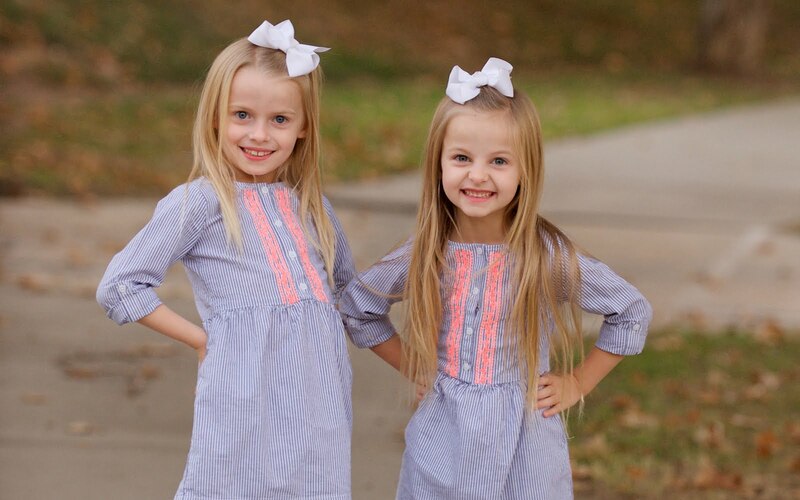 It is super simple to make and much cheaper than buying store bought! Step 1. Place 1 cup of unsweetened shredded or flaked coconut in a container and cover with 4 cups of filtered water. 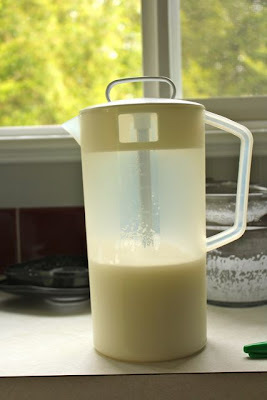 Allow to sit in the refrigerator overnight (This helps soften the coconut so that it will blend easier). Step 2. The next day, blend! Blend until mixture is very smooth. A Vitamix is much more efficient but any old blender will do. Step 3. Strain. 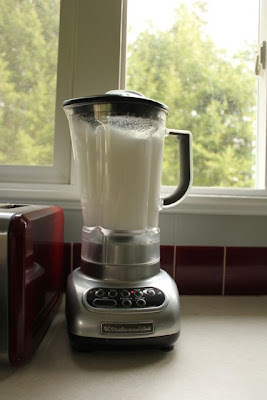 This step is optional but I am a texture person and I prefer for my coconut milk to be really smooth. 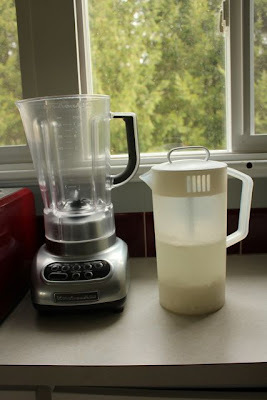 If you don't mind a bit of pulp or if your coconut milk will be used solely for smoothies then you can skip this step. Step 4. Add some vanilla extract or sweeteners to your liking. A touch of vanilla and a few drops of liquid stevia really helps enhance the flavor of the coconut milk. Enjoy your fresh coconut milk in a smoothie! How about trying a Strawberry, Pineapple, Coconut Smoothie! I think I'll give this a try, I'm trying to "go paleo", and the recipes call for a lot of coconut milk. Thanks!